THE BMW FAMILY OF CARDS. ENJOY PROMOTIONAL FINANCING AND SPECIAL BENEFITS WHEN YOU SERVICE YOUR CAR. AT YOUR SERVICE (AND A WHOLE LOT MORE). Like BMW vehicles, the BMW Family of Cards define the best in performance. Your BMW Center is the perfect place to use them. 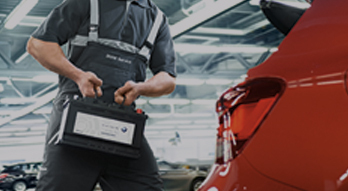 Earn BMW Reward Points when you pay for service or purchase Original BMW Parts, Accessories or Lifestyle items like apparel, luggage and gifts at your BMW Center.†† Plus, earn BMW Reward Points on everyday purchases and gas. 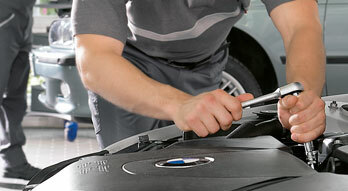 Speak to your BMW Service Advisor to apply. 0% INTRO APR* FOR NEW CARDHOLDERS. Special Introductory Offer through June 30, 2019 for 0% Intro APR* for 15 months on purchases and balance transfers; after that the standard variable purchase APR will be 15.49% to 26.49% based on your creditworthiness. 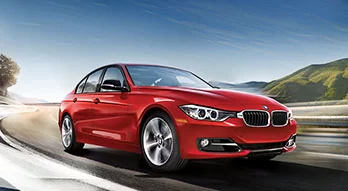 Qualified new cardholders are eligible to receive 30,000 bonus BMW Reward Points for spending a total of $2,000 within three months of a BMW Card or BMW Signature Card being opened.† Offer available now through 6/30/2019. 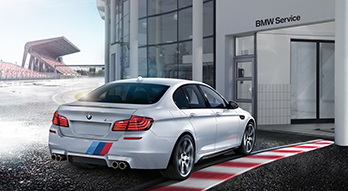 MAKE EVERY BMW PURCHASE MORE REWARDING WITH THE BMW CARD. Choose one of the BMW Family of Cards and start earning BMW Reward Points Today! 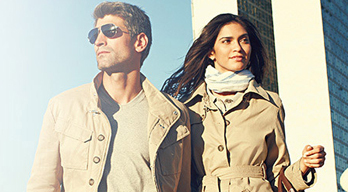 0% APR** FOR 6 MONTHS ON BMW CENTER PURCHASES OF $1,000 OR MORE† FOR EXISTING CARDHOLDERS. Special Promotional Offer through June 30, 2019 of 0% APR** for 6 months on BMW Center purchases of $1,000 or more;†† after that the standard variable purchase APR will be 15.49% to 26.49% based on your creditworthiness. 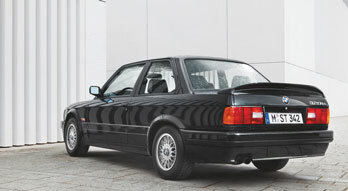 For important information, please visit mybmwcard.com. *0% Intro APR for 15 months from date of account opening on all purchases and balance transfers. Offer applies to applications received prior to June 30, 2019. After the introductory period ends, the standard variable APR for purchases and balance transfers applies. The standard variable APR for purchases and balance transfers is 15.49% to 26.49%, based on your creditworthiness. Variable APRs will vary with the market based on the Prime Rate. Rates as of 1/8/2019. Minimum interest charge: If you are charged interest, the charge will be no less than $.50. Cash Advance fee: Either $10 or 4% of the amount of each Cash Advance, whichever is greater. Balance Transfer fee: Either $5 or 4% of the amount of each Balance Transfer, whichever is greater. Annual Fee: BMW Card: None; BMW Signature Card/ BMW Ultimate Card: $75. Subject to credit review and approval. International Transaction: 3% of each transaction in U.S. dollars. New card members only. Purchases do not include items returned for credit, cash advances, interest, and account fees. Additional limitations, terms and conditions apply. You will be given further information when you apply. †Terms and conditions apply. Subject to available credit and approval. To qualify for 30,000 bonus reward points, you must use your BMW Card or BMW Signature Card to make qualifying Purchases that total $2,000 or more within the first three months after account opening. Qualifying Purchases exclude Cash Advances, Balance Transfers, purchases that are subsequently returned, and certain other ineligible transactions. Please allow up to two billing cycles to see your bonus points post to your BMW Card or BMW Signature Card account. Your account must be open and in good standing to participate. For questions about qualifying Purchases or about the BMW Rewards Program, please call 888-BMW-CARD (888-269-2273). **0% purchase APR for 6 months from date of Qualifying Transaction. Qualifying Transactions are defined as purchases of $1,000 or more at BMW Centers completed prior to June 30, 2019 when a BMW Card, BMW Signature Card or BMW Ultimate Card is used for payment. Items returned for credit, balance transfers, cash advances, interest, and account fees are not considered Qualifying Transactions. After the promotional period ends, the standard variable purchase APR applies. The standard variable APR for purchases is 15.49% to 26.49%, based on your creditworthiness. Variable APRs will vary with the market based on the Prime Rate. Rates as of 1/8/2019. Minimum interest charge: If you are charged interest, the charge will be no less than $.50. International Transaction: 3% of each transaction in U.S. dollars. Please see the Terms and Conditions of your card for additional information. Dealers: you must use one of the following MCC codes: 5511, 5521, 5532, 5533, 5571, or 7538. 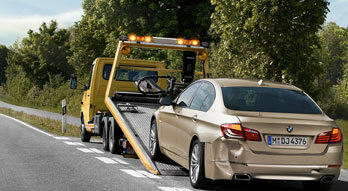 ††You will earn various Points for Net Purchases charged to your Account during each billing cycle at BMW Centers. 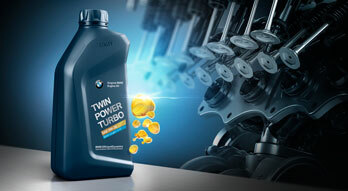 See the BMW Rewards Program Terms and Conditions for additional details. Effective as of 1/8/2019. Content subject to change. © 2019 BMW Financial Services NA, LLC. The BMW wordmark and BMW logo are trademarks of BMW AG. BMW Cards are issued by BMW Bank of North America, a wholly-owned subsidiary of BMW Financial Services NA, LLC. Visa is a registered trademark of Visa International Service Association and is used by BMW Bank of North America pursuant to license from Visa U.S.A. Inc.